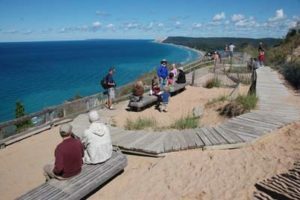 Lifelong Michigan resident Jim DuFresne, the author of numerous books on Michigan and the outdoors, guides hikers through the Lower Peninsula’s unequaled system of state parks and natural and wilderness areas in the second edition of 50 Hikes in Michigan. 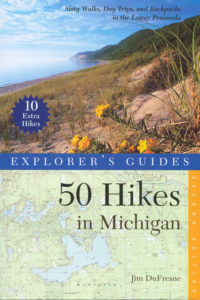 The 60 hikes in this completely revised and expanded edition range from 1.5 to 35 miles in length. Hikers will learn where to find the best trailside fishing, birding, and wildlife watching, as well as where to go to find fall color and undisturbed backcountry camping. Each hike description includes directions to the trailhead; a detailed map; trail distance, difficulty, and hiking time; explicit trail directions, and a description of natural and historic features along the way.